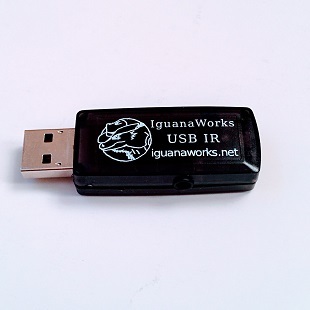 USB device to send and receive IR: have your computer send IR signals to your DVR; receive IR signals from a remote control. 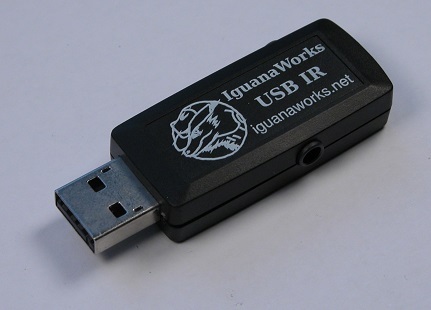 Works under Linux and Windows.Our standard USB IR Transceiver can send and receive infra-red (IR) signals. Volume discount when ordering 10 or more units. 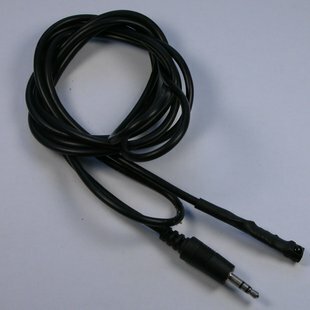 Dual Socket: Contains two stereo 3.5mm jacks for connecting wired IR emitters (also called blasters). Each jack can control two independent transmit channels, enabling a total of 4 independent IR sending channels. To transmit IR using this device, you need one of our IR Emitters per channel. 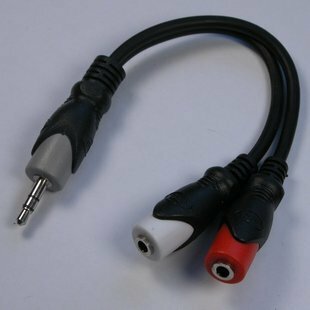 To use two channels per socket, you need a stereo->mono adapter. Device has one on-board receive unit. Hybrid: Has one stereo 3.5mm jack and one integrated IR LED. Up to three independent channels: two via wired emitters (use stereo->mono adapter to use both channels), one with on-board LED. Unit has one on-board receive unit. 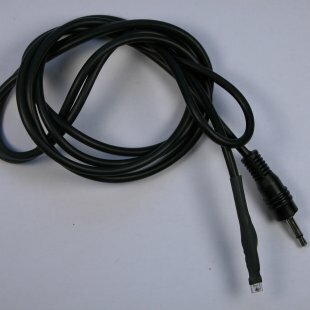 Socket Receive: One stereo 3.5mm jack for connecting wired IR emitters and one stereo 3.5mm jack for connecting a wired receiver. Dual Socket, Dual LED and Hybrid all have on-board IR receivers opposite USB connector. Socket Receive version does not have on-board IR receiver, but Port B accepts a wired IR receiver. Socket Receive cannot receive IR signals without a separate wired IR receiver. Transmit IR on up to 4 independent channels. 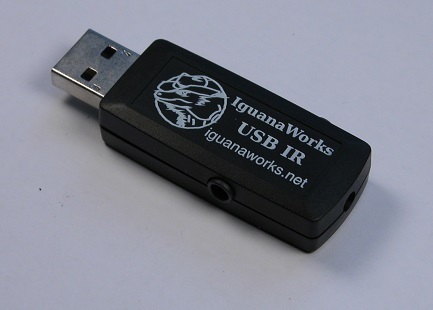 Our USB IR Transmitter/Receiver is a standard USB device that can transmit and receive the infrared codes supported by LIRC (Linux only) and WinLIRC (Windows only). Combined with (Win)LIRC, this device can communicate with most home electronics, such as TVs, stereos, DVD players, receivers, and their associated remote controls. When used with MythTV, you can turn your computer into a TiVo-like media center. We can send and receive IR under Linux and Windows. We do not support MAC OS X, although there is an UNSUPPORTED MAC OS/X project. Decoding remote control commands is currently supported under Linux via LIRC and under Windows via WinLIRC. Our software, both binaries and source code, is available in the Downloads section and is licensed under the GPL. We happily accept patches to our code. We would like to extend the ability to decode remote control signals MAC OS/X either through LIRC or an alternative. If you would like to help us with that, or any make any other software contributions, please contact us.